The landlocked Ghizhou province in Southwest China can surprise any visitor: although it is now one of the fastest growing provinces in China, it is also a luxurious land of ethnic groups and scenic landscape, with a topography of plateaus, mountains, hills, and basins. If you are flying out of cosmopolitan Shanghai or Beijing, Ghizhou’s natural wealth of forests will be one refreshing change; another will be experiencing the heartland of Chinese native culture. The plateau is a Karst landscape that has undergone changes through continuous stream erosion and folding, resulting in incised valleys, steep gorges, and cliffs. 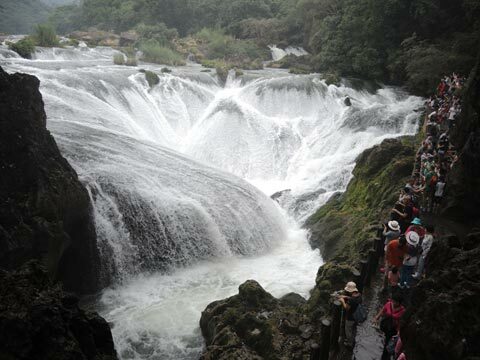 The famed Huangguoshu Waterfall is on one such cliff. 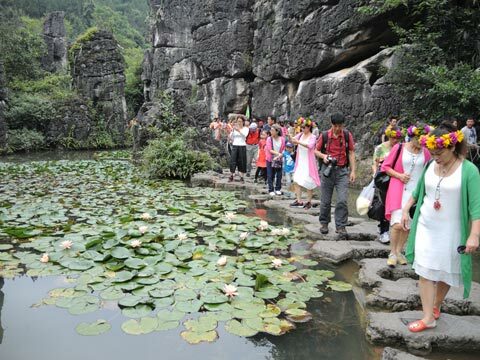 Members of the local ethnic Bouyei community walk to the Huangguoshu Waterfall, named after the local yellow fruit tree, whose fragrant flowers blossom in the nearby area every year. Wearing their traditional flower headdress, the Bouyei are the native Tai peoples of the plains of Guizhou. They are one of the oldest communities of China, living in the area for more than 2,000 years. In the late 17th Century, the Bouyei underwent a strong repression that caused many of them to emigrate to faraway Vietnam. 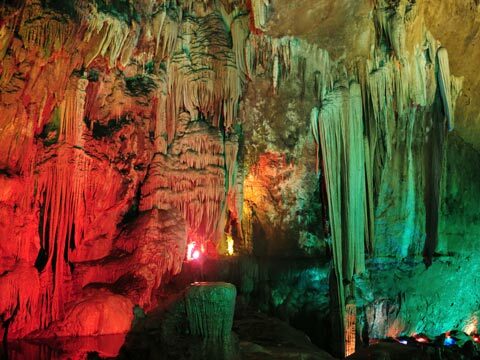 Located in the center of South China's Karst geology, the stalactites in the Tianxing Cave are famous for bright colors. The stones inside the cave include red, orange, yellow, green, cyan, blue, and purple, creating a color spectrum concentrated in one cave. In the Tianxing Qiao Scenic Area are the beautiful Yinlianzhuitan (Silver curtain) Waterfall and the aquatic stone forest of growing stones. Seeing the water almost at the eye level is an extraordinary experience. 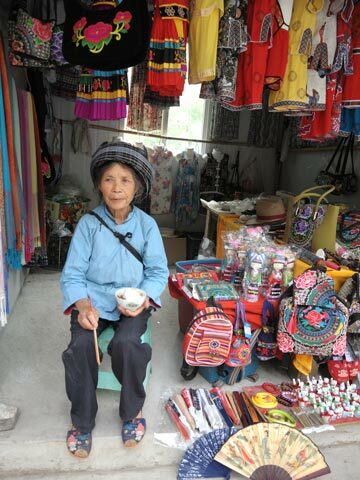 An elderly Miao lady takes her lunch break in the little store at the Yellow Fruit Tree (Huangguoshu) Falls. Hundreds of rural villages are interspersed among terraced rice fields, and the traditional architecture of the land is evident in the ancient temples and the bylanes full of traditional shops. In recent years, the architecture of many buildings typical of Miao, Dong, and Han ethnic groups, who live together, have been tastefully restored to their former glory. 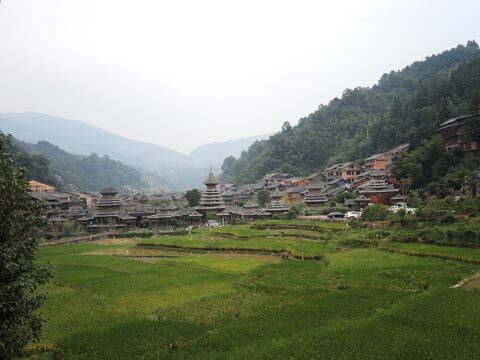 The ethnic Dong community of Zhaoxing take immense pride in their surroundings of terraced paddy fields and lush mountain scenery. As the symbol of a Dong village, the drum tower is the embodiment of the Dong people's exquisite building skills and technology. Three unique folk symbols figure in Dong culture: the Wind-Rain Bridges (the Flower Bridges), the Drum Tower, and Dong songs. A Dong village usually has five drum towers to represent kindness, politeness, intellect, righteousness, and creditworthiness. 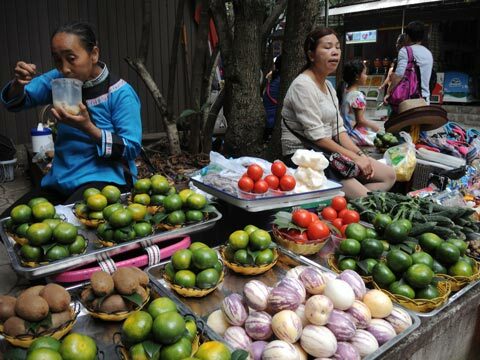 Local vendors sell vegetables and fruits grown in the area around the Huangguoshu Waterfall. 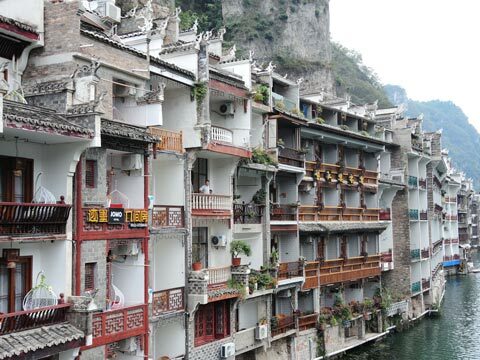 In contrast with the modern high rise buildings that dominate the skyline of its prominent city and capital, Guiyang, the historic town of Zhenyuan with its nearly 2,000 years of architecture speaks of the ingenuity of the people in building lasting frontiers, including the southernmost section of the Great Wall itself. 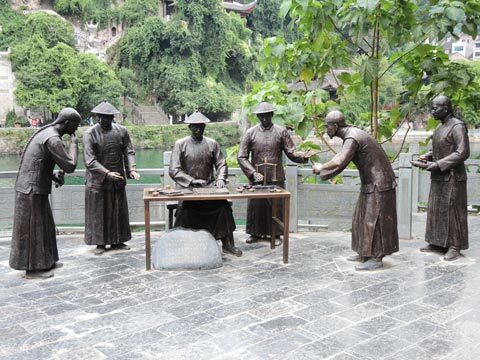 Melding the cultures of Buddhism, Taoism, and Confucianism, Zhenyuan is a famous historical and cultural city of China. As one travels across Guizhou, part of the province rises to forests of pine trees split by river valleys. In the late Qing dynasty Zhenyuan was also an important outpost during the rebellions by farmers from different ethnic minorities. The grand ancient bridge and city walls are monuments to its former strategic importance. 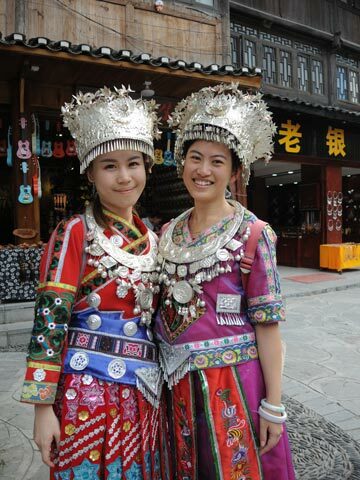 The Miao people consider the ancient border town of Zhenyuan as their proud inheritance, dating back to 202 B.C. when Emperor Liu Bang instituted the town as a county. In its prime time, businessmen and scholars rubbed shoulders with monks and missionaries in this town. 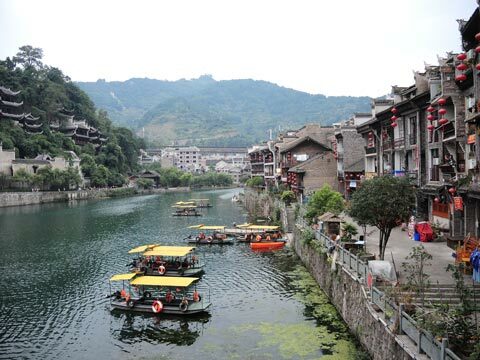 Zhenyuan Ancient Town has clusters of Buddhist temples, Taoist monasteries, Confucian academies, opera stages, and stilt houses with fine detail, built with wood and brick and decorated with stone sculptures. 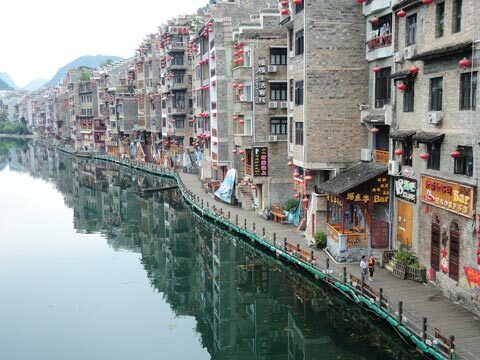 The architecture of Zhenyuan is typical of the Miao community. The extensive laneway system jumps off the main streets and is filled with its characteristic architecture, spread out cozily along the S-shaped Wuyang River or clinging gracefully to the steep hills. The Wuyang River cuts through Zhenyuan. Hills and mountains tower over the town. At the northwest edge of the town is the entrance to the southernmost section of the Great Wall. 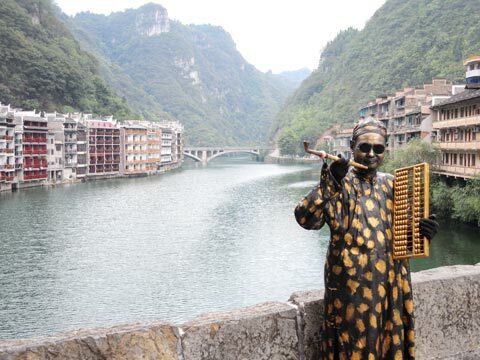 A busker (street performer) stands on the bridge over the Wuyang River, dressed in a Ming dynasty costume, and narrates the cultural importance of the imperial past. 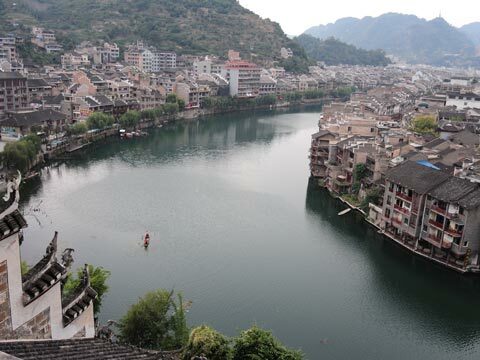 Zhenyuan is the hometown of the dragon boat. The dragon-boat race is held on the fifth day of the fifth lunar month every year on the Wuyang River. In addition to the major festivals and celebrations throughout the year, folk dramas and music are intrinsic parts of Guizhou’s culture, as in much of the rest of China. The Miao community often sing of their revolutionary history and heroes. A devotion to arts and crafts is reflected in daily life. The Dong ethnic minority build their wooden houses, bridges, and drum towers without any nails. 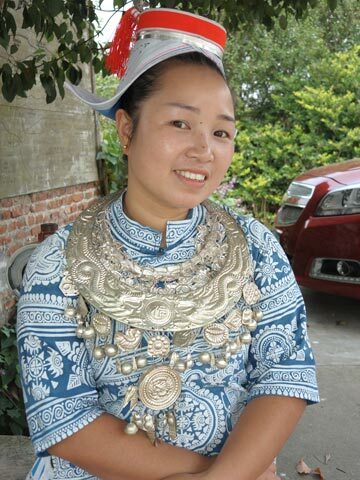 The Dong, Bouyei, and Gelao are particularly known for their batik, the Miao for their heavy silver ornaments, and the Miao and Bouyei for their intricate, colored cross-stitch work. 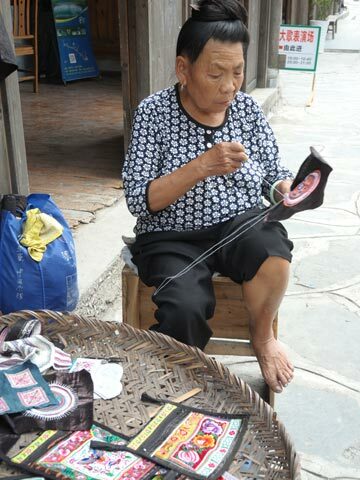 Some Miao women, as well as being famed for embroidery, still weave their cloth and dye it with homemade indigo paste. Traditional costumes are a vital part of Chinese civilization, playing an important role in the country’s history and culture. Ideas of color changed through the years: black was the most dignified color in the Xia Dynasty, white in the Shang Dynasty, and red in the Zhou Dynasty. Some styles feature cross-collar, wrapping the right lapel over the left, and tying with a sash; some have a form of blouse plus skirt or long gown. In ethnic communities, long gowns are usually worn with hats and boots; others prefer short coats with pants or skirt, wrap their heads with cloth, and wear shoes. The traditional craft of embroidery has existed in Chinese culture for thousands of years. 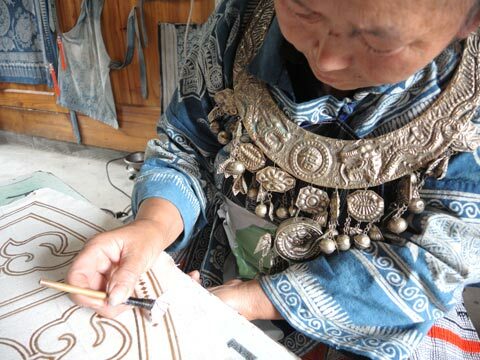 In Miao communities, embroiderers record their history and culture in the embroidery on their clothing. It can take four to five years to make a fine handmade piece of embroidered clothing—from cultivating the silk worms, making the cloth, dyeing the cloth and threads, and finally doing the embroidery itself. 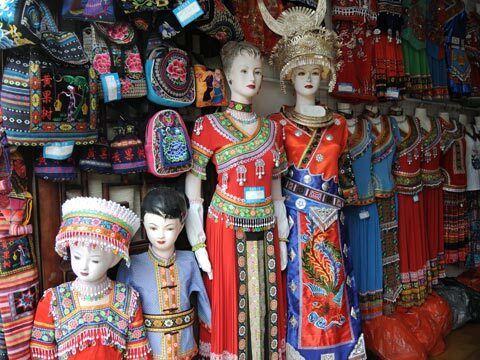 In the costumes of Miao people, men's dresses are simple; women wear short pleated skirts that are bright and attractive. 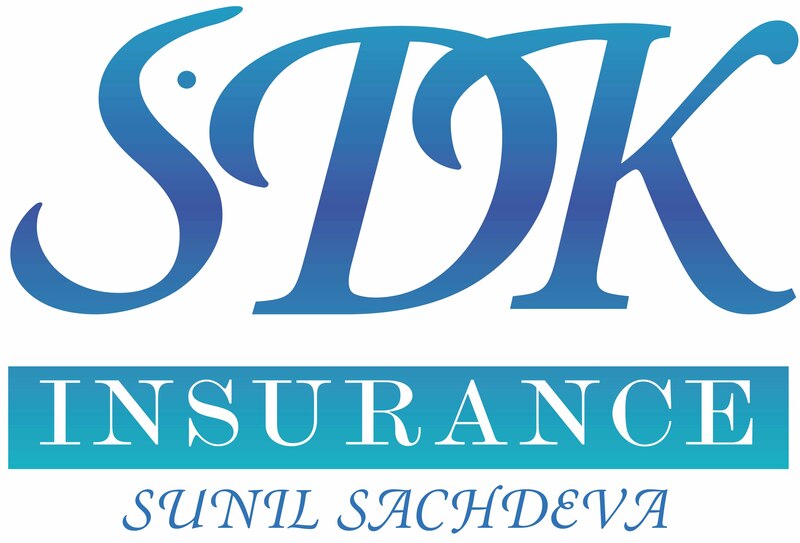 Most high quality costumes have fine silverwork to make them even more sparkling. The minority group's silver jewelry is made using traditional techniques passed down from generation to generation. 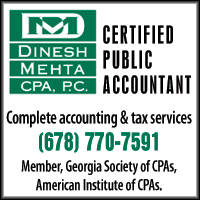 The patterns, styles, and figures are quite different from place to place. Both men and women wear silver jewelry. The women's jewelry pieces are more delicate and include crowns, flowers, hair clasps, combs, hairpins, earrings, ear pendants, chains, locks, shawls, bracelets, bells, etc. One set of silver jewelry may weigh more than 10 kilograms (22 pounds). (Left) Producing indigo fabric is one of the important chores of Dong communities, particularly women. Used by both men and women, indigo is produced by soaking locally grown leaves to extract a substance that is then fermented into a paste. A fabric, often locally produced cotton, is dipped into the diluted paste a number of times depending on the desired shade of blue. The most valuable cloth is then “glazed” with egg whites, folded and finally painstakingly pounded on a stone slab, over and over, until a metallic-like sheen appears. The final product shimmers and shines and is proudly worn by the locals; often the very best fabric is kept to be worn at festivals or ceremonies. The Dong community decorate hemp and cotton by applying hot wax and then dipping the cloth into an indigo dye. 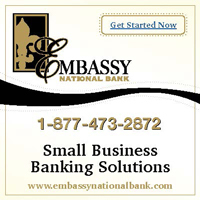 The cloth is then used for skirts, panels on jackets, aprons, and baby carriers. 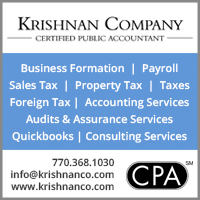 Bhaskar Krishnamurthy is an award-winning, widely published photojournalist and the founder of www.clicabroad.org, which helps children in the hinterlands document and share their old world culture by learning photography.